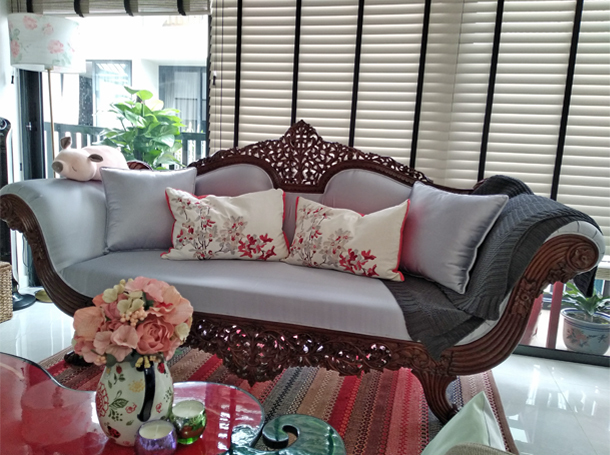 A mid-19th century colonial sofa takes pride of place in this individually styled apartment in Joo Chiat. 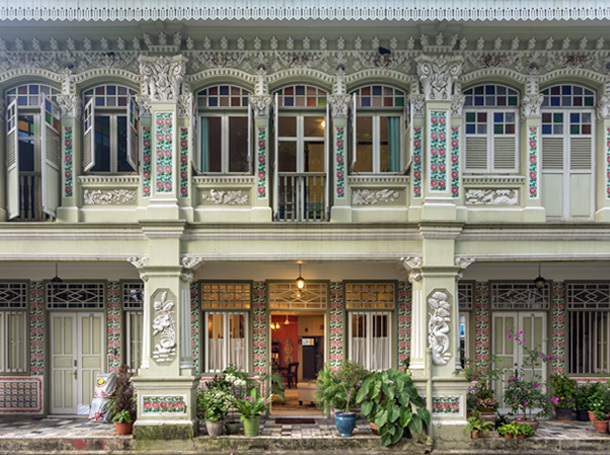 Amidst the skyscrapers is a shophouse filled with unique collectibles and glorious colonial furniture. This breezy apartment is a wonderful example of how wooden furniture is a stunning way to furnish your home. 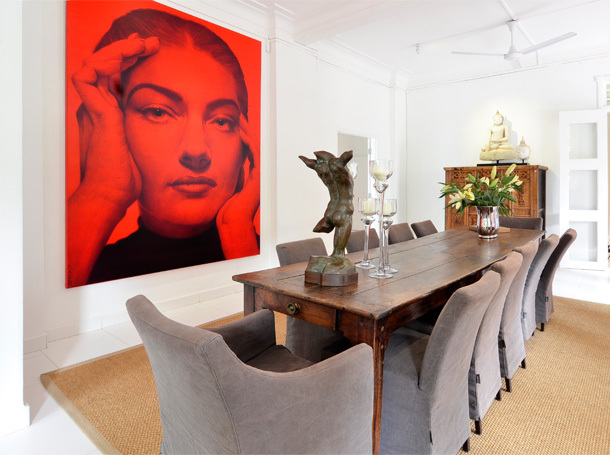 This dining room looks fabulous with an antique dining table and a spectacular Maria Callas painting. 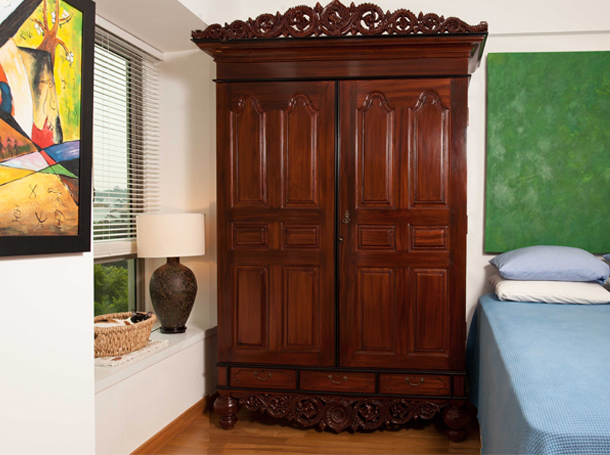 Indian ancient art combined with western-influenced antique furniture made during India’s colonial past. 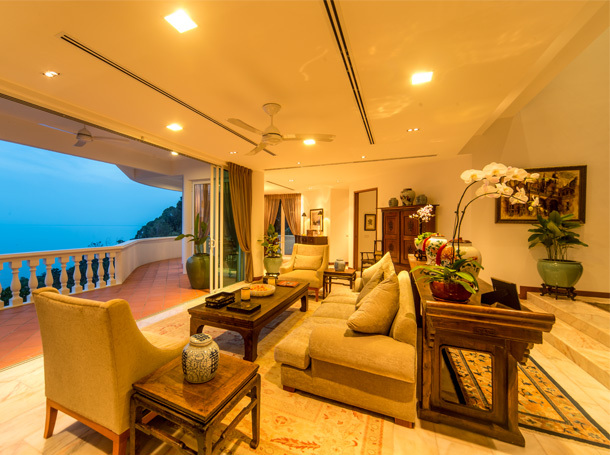 Step inside and you are transported into a décor with antique colonial signature pieces that furnish the apartment. 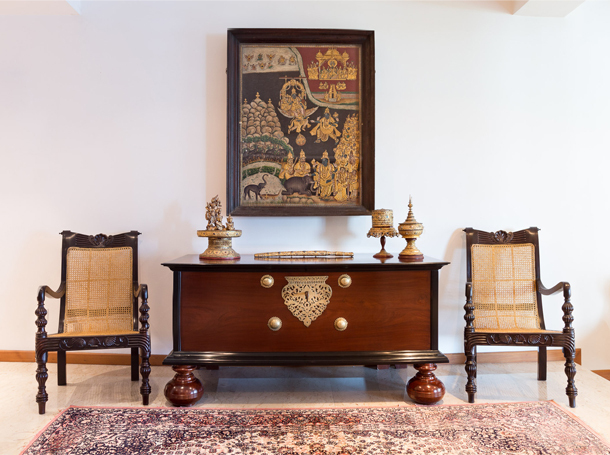 This house in Penang features a wonderful and eclectic mix of antiques from Birma, China and colonial India. 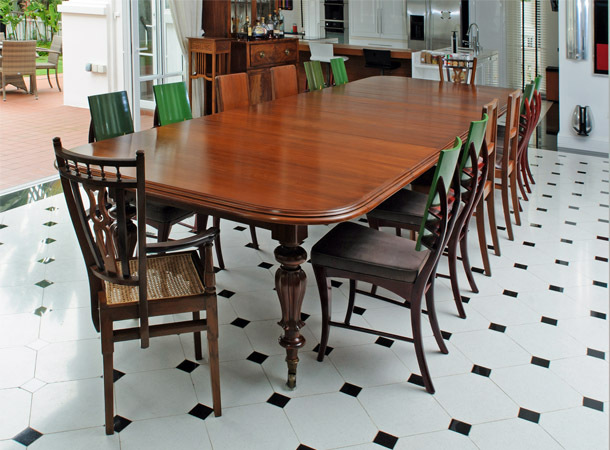 It's the place where families come to dine, discuss and party - and where this home owner has added real value.